On a mission to reinvent a future where scenarios are often combined with quantitative models and qualitative stories, volunteers of SDSN-Youth, TERI School of Advanced Studies (TERI SAS), in association with Coca-Cola India project SOS (Scrap out Scrap), conducted an event at Billabong High International school, Noida, as part of their Annual Science Festival, Matrix. The morning of 9th February 2019, witnessed an engagement of students towards a comprehensive understanding and knowledge on the uncountable issues and challenges encountered and their relatable solutions associated with sustainability and solid waste management. The volunteers were accompanied by Ms. Harmeet Kaur, Programme Associate, TERI SAS, who helped pave the walls of an informative stall on the SOS project and a gaming zone on the SDG Global goals, snakes and ladders experiential game and activities relating to Solid Waste Management. This provided the audience an opportunity to engage in the need of the sustainability hour and become global goals star in favour of a sustainable developed world. The volunteers were further able to gather the interests of many students and guardians present in the campus. So much so, that a lot of them promised to be the change makers in their respective work places, especially focussing on the issues pertaining to the solid waste management. Students participated actively with zeal in all the activities. It was a new learning experience for them and they came to know the significance of segregation of waste and preventing it from reaching the landfill site which causes problem to the ecosystem. It majorly resulted as a boon to encourage the movement of the many few steps towards delivering the global goals for sustainable development. This further paved the way for a collective solution towards the talked SDG’s and an attempt intended to love, respect and protect the environment. Ideas of the blooming flowers were not only liberated but also enhanced towards building the future pillars with great sustainable advancement. 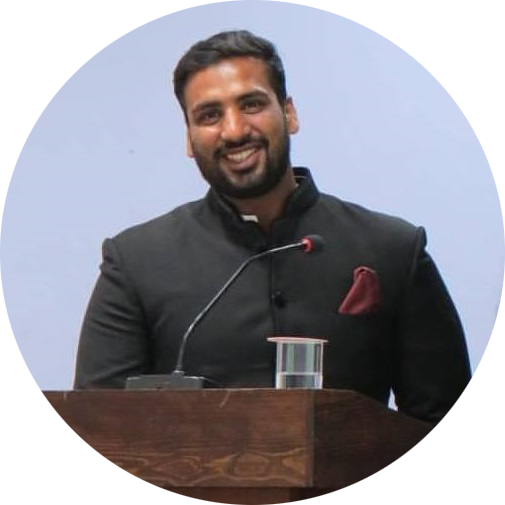 Mohammed Subhan Khan is the SDG Coordinator for UN Sustainable Development Solutions Network Youth (SDSN-Y), South Asia Network. He is trained as an Electronics and Communication Engineer and has worked for 2 years in the industry. He is currently pursuing Master of Technology in Renewable Energy and Engineering Management from TERI School of Advanced Studies (TERI SAS). He has also been a founding member of a Delhi based solar start-up in India 2016. Subhan is also leading the School University Network (SUN) of TERI SAS, which sensitize people on sustainability and environment related issues by conducting workshops and seminars at schools, colleges and organizations. Kritika Kothari is a dilettante that dwells in the lands of pristine cultural knowledge and sustainable livelihoods. With a Masters in Geography she's currently pursuing Masters in Sustainable Development Practice from TERI School of Advanced Studies (TERI SAS). She is a SDG Hub Member at TERI SAS and ardently believes that self-pride is what muddles up the world and the element of peace and harmony is what saves it.